1) I snapped this photo just after I finished recording the "poem of possibility" that is the list of 2013 "one little words" over on Ali's blog. This is the third year I've done it and each time I enjoy it all the way to the tips of my toes. I really try to think about each word as it's own little one word poem. Makes me so happy. You can listen here. I share my approach to Project Life in this post and will be sharing more next week. And if you are new to it, head over to Becky Higgins' site to watch an adorable really short video and learn more. 3) Next month, Vivienne is running a new course called "Be Your Own Beloved." I love the premise behind this course: It is a 28 day photo adventure designed to cultivate self-reflection and self-compassion through the practice of taking self-portraits. I am really looking forward to this one. Viv's having a giveaway on her blog right now for one spot, but even if you don't win, I hope you will come along. 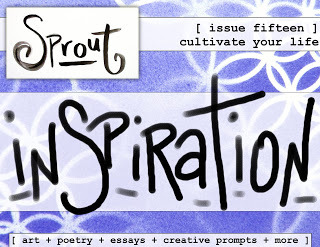 4) The newest issue of Sprout Magazine (an adorable online e-zine) is all about inspiration. So many inspiring contributors. And I'm delighted that Amanda featured my Soul Mantra jewelry in this issue (there is a free shipping coupon code inside). 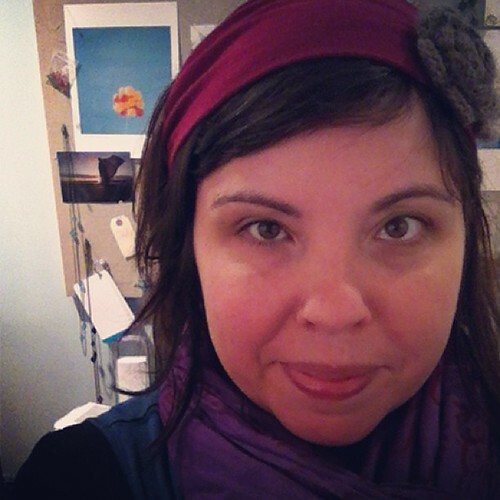 5) I've been wearing a lot of headbands lately (as evidenced by my self-portraits on Instagram). I never was really a headband person. My head is not small, which means headbands often squeeze my head until I have a headache. But when my late summer hair cut went a bit awry, I started to look for ways to get through it. Enter the headbands from Specifically Random, a shop I came across last spring. They come in sizes. Yes. Sizes! I've been adding some crochet flower pins to them that my mom sent me. I don't have a link for the pins, but these, these, and these on Etsy look similar. They would also be easy to crochet. And you? What are five really good things over in your corner of the world? I would love to know.